The Economy Maple Three Tier Square Table is a smart solution for displaying seasonal merchandise, new products and promotional displays. 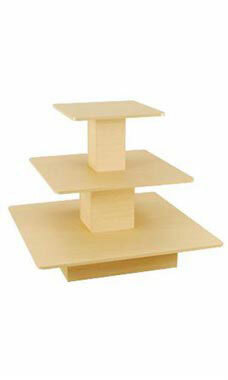 The three tier tables are a great space saving solution for your retail store. The tables feature a particle board base with melamine laminate finish.